While I was still living in Hong Kong, I have started with 300 a day. John Upshaw and I have been exchanging and we decided 3 months ago to increase it to 600 a day – 3oo per leg, and log our sets on Facebook. We promised to do this until July 24. 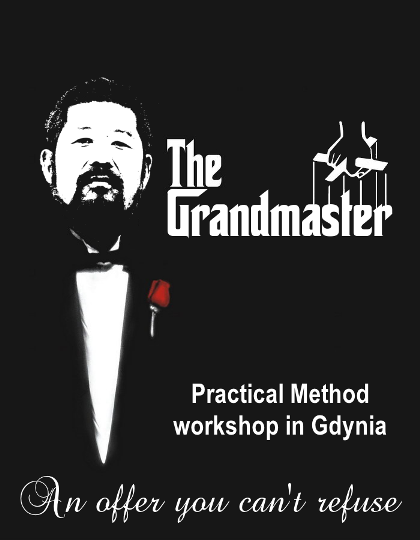 This is when Master Chen will visit Iowa for their workshop. Since then, the likes of Kelvin Ho, Tinh Thai, and Winston Wang have joined. Even my student Simon Yau has jumped in on the action! Every day, I look forward to my brothers giving me the thumbs up next to my “done”. Dear Tai Chi – enthusiasts and those interested! 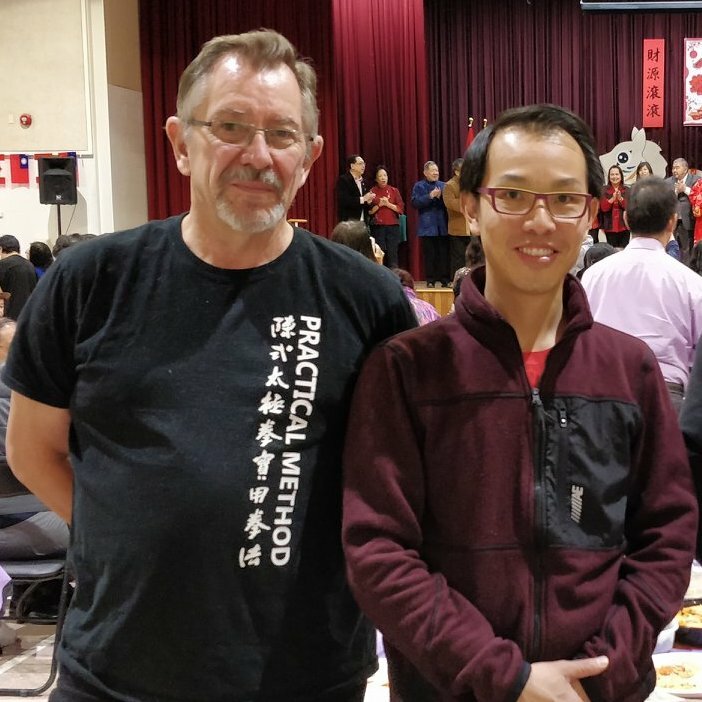 Master Chen Zhonghua is coming for the third time to Vienna to show and share his skill in Tai Chi. 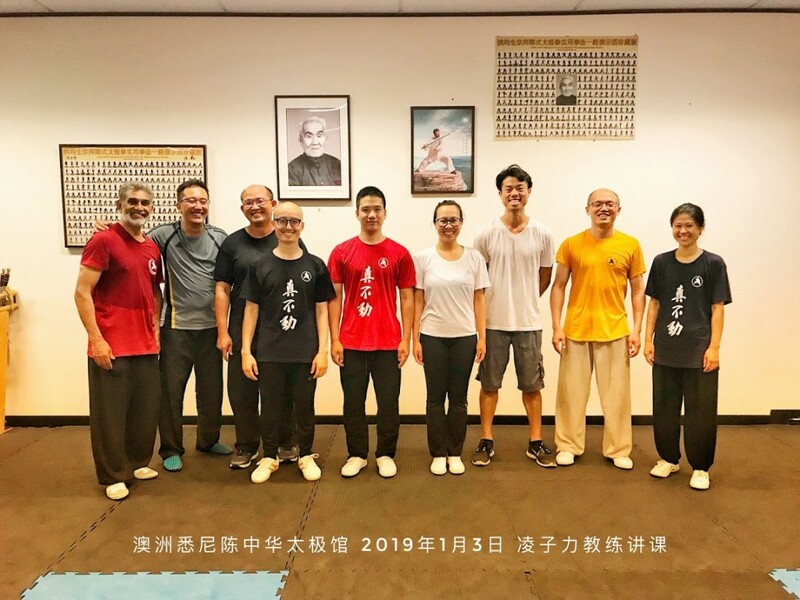 The workshop is made for those without any knowledge about the art as well as advanced students of Tai Chi and will grant deep insights in the art. Also practitioners of other martial arts are welcome to participate at this workshop. The workshop will be held in english, translation into german will be provided when needed. We are here because we’re humans, not animals. Everything is like loose sand. Among the sand, some things might have a spark. There’s nothing wrong with sand, and nothing wrong with other ways of moving, such as other forms of martial arts or football. It just depends on what you want. Master Chen is looking for the sparks in the sand. Put my front knee against the bench. My front knee should be on top of my front heel. Make my fetch water action much, much, much bigger. Only when there is size, it becomes useful. 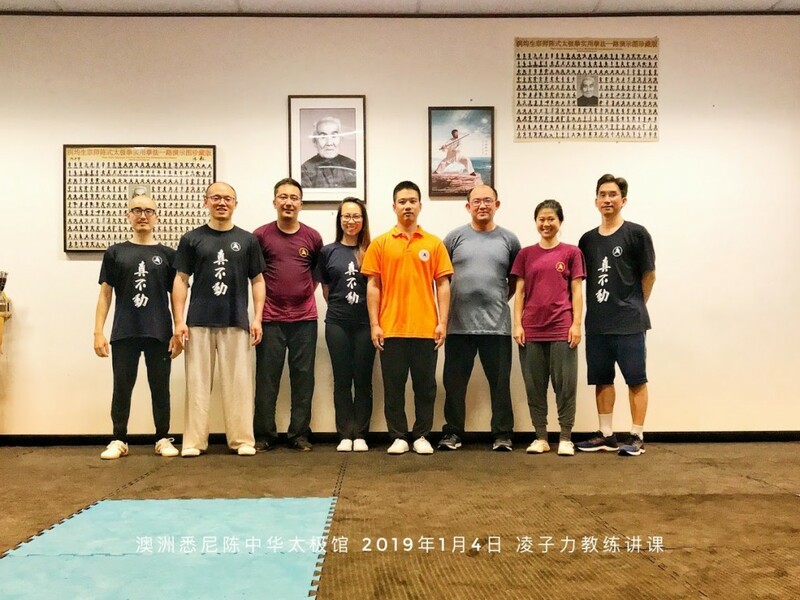 My action is way too small, Master Chen told me the same at the last workshop as well. I have not changed yet. Once I am done with stretching the top, while not moving the front kua, knee, foot, move the rear foot to increase size. Whatever I do, the front knee is not moving. 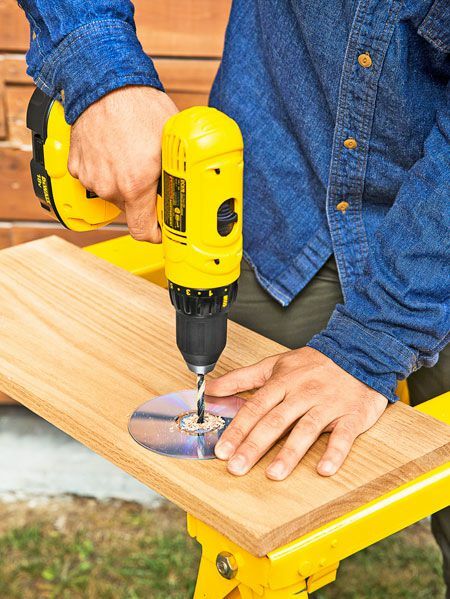 Train the whole yilu with one specific part not moving. Detailed information and registration here. See also impressions of 2018, 2017, 2016 and 2015 workshops in Poland. 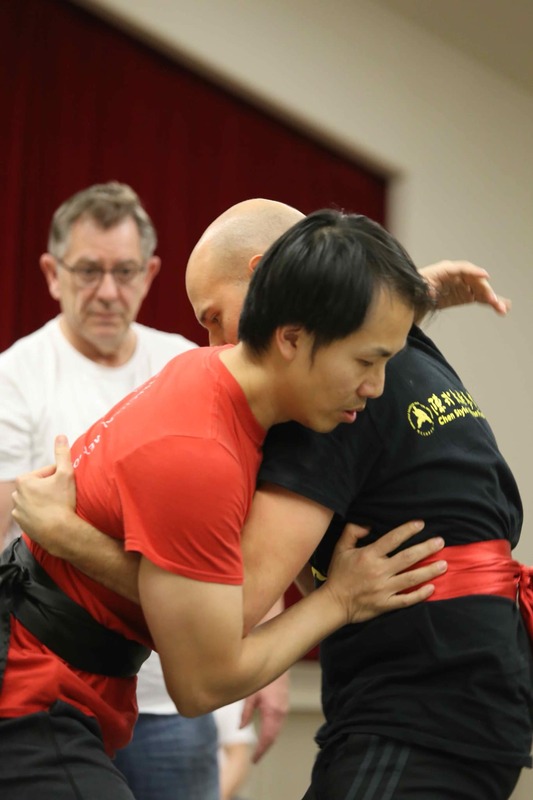 At the Phoenix workshop Master Chen had someone place a pole from his hand to the arch of his back foot. In w/ elbow his and and forearm slid along the pole. He has a shorter pole placed by his front kua a slightly upward angle. His elbow followed the 2nd pole while the hand stayed on the 1st pole. He then said, it’s actually “out w/ foot” as the hand only guides the direction. “Someone caught in a state of paralyzing surprise, fear, or bewilderment. Likened to the tendency of deer to freeze in place in front of an oncoming vehicle”. About learning 1. “The teacher teaches the principle. You go home and practice.” 2. Follow the principle. Don’t deviate. Master Chen has stated before fajin is doing an action fast. How do we do an action fast? Pretend to fight to find the end points. Once locked, move-in the middle point. (Alignment) Rear fingers look for the front elbow. The rear kua looks for the rear elbow.